Querying quotas: tokenism, the "able" disabled, and "pretty crips". 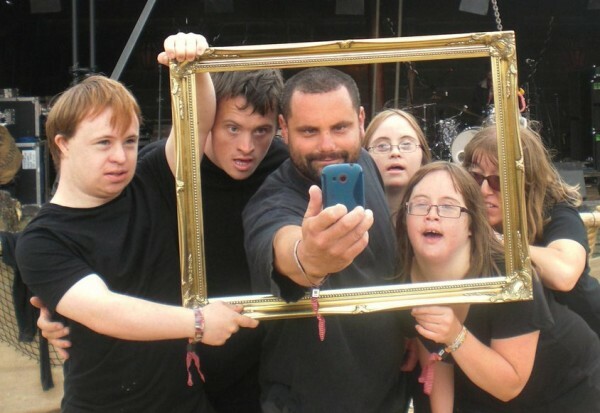 So far, this blog has existed as a space to discuss a what it can mean to have a truer sense of diversity in theatre and society, particularly with regards to disability. I also tend to be fairly cynical (readers may have noticed) about the rate of change with regards to disability politics and rights, particularly with regards to the current government. However, in the past year or so their have been glimmers of potential for real change. For example, the London Theatre Consortium has launched a huge effort to make their theatres more diverse with disability being a huge part of the discussion. Regional theatres have had similar discussions and are actually making signs of putting their money where their mouth is, so to speak, because some of us are finally getting seen. Change is still slow, but from certain vantage points it can look like the doors that have been repeatedly slammed shut in the face of disabled artists are slowly but surely creaking open with at least a hope that they will stay that way. Here is my question: what will this actually look like? From the standpoint of these theatres, it might mean creating outreach programmes to try and gain interest in the theatres, or holding more open auditions and meetings with disabled artists. It could also mean instating regulations or quotas. For example, such-and-such theatres are required to hire at least two disabled artists per year in at least two productions per season. (I believe this is what regional theatres are already doing.) I will be the first to state that that all of these processes are a wonderful start. Of course, that means that while they represent progress, their are still points to tackle. 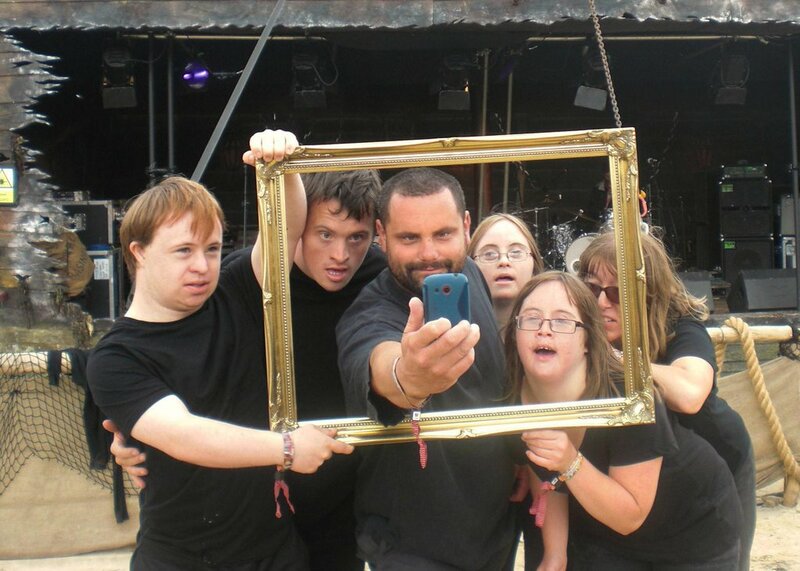 Blue Apple Theatre, a company of able and learning disabled adults, at BoomTown Fair. These regulations also have a potential to play into other societal hierarchies. For example, call outs for disabled theatre practitioners recently have been largely for (white) men and also largely for actors. Of course this work is fantastic, but here’s the thing: it’s one thing for a mainstream theatre to do a mainstream show and cast a disabled actor. It is another thing entirely for a mainstream theatre to hire a disabled writer, director, producer or designer who creates a piece that requires a full cast of crips, that deals with truly edgy and subversive topics, and that truly challenges theatrical norms. There is also the potential that “able” disabled people who appear to have fairly straight forward access needs (whatever that means) will be hired more readily, because they will seem like less hassle. They may also fit the mainstream mould more easily either by looking properly disabled (thus showing how diverse the theatre is), or by passing as non-disabled. Again, this in itself is not bad. We all need a chance, but casting the “pretty” crips still leaves a lot of exclusion on the cards. This is before even beginning to think about governmental cuts to programmes such as Access To Work and the Independent Living Fund which have been outlined in previous blogs I’ve written. If this thought process has any validity, this means that most disabled creatives will still be in the shadows, as will any actors who are not “able” disabled – and the “able” disabled are not exactly in the limelight to begin with. It also might mean that all we really see are white, male (straight?) crips, which might be a start, but is still excluding a huge portion of the disabled community. I am putting all of this out there as a question and concern because I am not convinced issues like this can be avoided. Normativity is such a powerful force in society, so how could we possibly break all of our habits at once, even as we identify our own limitations? Also, to be clear, I am ecstatic that these conversations are happening, that quotas are being put in place and mainly that these theatre companies are truly trying in any capacity, because that in itself feels like a big improvement. However, in the midst of this kind of change it is important to not take the “we’ve won” attitude, because we haven’t. As I said before, these issues, obstacles and exclusionary behaviors run very deeply into the fabric of our society, so each moment of change and each point of growth deserves at least a few critical questions. Otherwise, how do we keep growing?